Patriot International has a continually development of its inventory of specialist equipment in its fleet. Our products are suitable for oil, gas, petroleum, energy, wind power, construction and fabrication industries. All our equipment and tooling has been specifically chosen for its ease of use, reliability, innovation and safety. In-Situ Machining comes into its own when a work piece is too large or fixed in application and cannot be moved to a machine shop. Portable machines can be used in some of the most remote situations and produce equally high standards of quality and finish to that of a machine shop. Be it Pipe Cutting, Flange Facing, Milling, Drilling or Boring, the range of portable machines can be mobilised to the location at minimal notice. 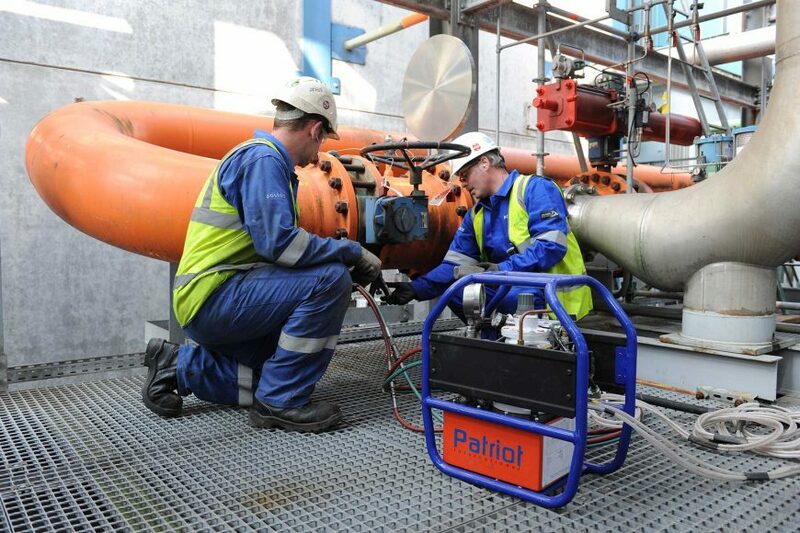 The Patriot range of pressure testing products allow our clients to confidently test open ended and flanged pipework to high pressures. With the range of Flange Weld Testers and Grip Tights; we can test most configurations, providing a fast and highly efficient method of achieving the desired result.